- Bed and breakfast in character hotels and chateaux throughout. 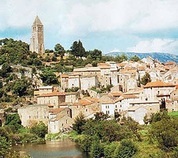 - Services of Tour Director and fluent French-speaking Assistant at all times. - Guest lecturers and artists. - Twelve additional lunches or dinners. - Private bus and driver for our exclusive use. - A gourmet food demonstration in a Normandy chateau followed by dinner. - Services of highly knowledgeable local guides. - Many excursions in the chosen regions of our tour with paid entrances included. - Two first class TGV train trips. - Excellently produced Tour Handbook containing all daily times schedules, information regarding all locations, program notes and much more. ADDITIONAL accommodation in our hotels for both before (Paris) and after this tour (NICE) may be requested and costed. Requests MUST be made as soon as possible (well before closure date) and will depend on several factors. ﻿Our 26th annual tour, “TWO FESTIVALS” was an enormously happy and successful one, covering the great annual Bachfest in Leipzig and the tenth anniversary of Angela Hewitt’s Trasimeno Festival in Umbria, in which a well balanced group of sixteen ( couples and single travellers ) blended well. LINGUA MUSICA deliberately guards its status as a small boutique organisation offering a really personal approach and this is why many participants return again and again to travel with us. We are like a group of friends travelling and discovering together and these friendships last. It is also why we are able to offer so much first class content at a more affordable rate than larger travel companies. We hope to welcome you in 2015. 17.00hrs: Welcome meeting with aperitif in our famous HOTEL NAZIONALE, situated in the same piazza as the Parliament and close to the Spanish Steps. The great Pantheon is just around the corner, other major historic edifices close by. 18.00hrs: A guided walk. 21.00hrs: Our Welcome dinner in the hotel’s beautiful restaurant. 9.00hrs: Guided bus (and walking) tour of special highlights of Rome. Free time. 15.30hrs: Join our private minibus departing from the hotel for a 2 ½ hour drive to SPOLETO. (Luggage already loaded).Arrival and settle in at historic and beautiful HOTEL SAN LUCA. Restaurant dinner and time to explore your surroundings in this remarkable hillside city where the famous annual Festival dei Due Mondi was founded in 1958 by composer, Gian Carlo Menotti. 10.00hrs: A guided tour of this ancient and spectacular Roman town and a festival performance this evening. (Performance details are not announced each year till April). 9.30 hrs: Depart hotel with our driver for the undulating route towards the beautiful LAGO TRASIMENO, the third largest in Italy. It is close to the Umbrian hilltop capital of PERUGIA, a lively University city with history extending back to Etruscan times. This year, instead of staying in the city, our summer location will be right by the waterside in the HOTEL LIDO at Passignano sul Trasimeno. Our water-view rooms are booked for EIGHT nights and all our excursions and festival concerts will depart from and return here. On arrival, Lunch will be served on the terrace overlooking the lake. 19.00hrs: Departure for the Buffet and always delightful pre-Festival concert in San Savino, overlooking the lake. 9.30 hrs: Guided tour to incredible ASSISI and its famous double Basilica of St, Francis. Lunch. 16.00hrs: Opening concert of the 11th annual TRASIMENO FESTIVAL in the delightful hilltop village of PANICALE .Piano Trios of Brahms, Ravel and Boulanger. Piano, Angela Hewitt; Violin, Jan Soderblom; Cello, Nicolas Alstaed. Morning at leisure. (You may walk into the village if you wish). 15.00hrs: Afternoon excursion with early dinner in a rustic setting to exquisite SPELLO. 20.00hrs: Transfer to the great Auditorium San Domenico in FOLIGNO. 21.00hrs: Camerata Salzburg Orchestra. Conductor, Hannu Lintu; Soloist, Angela Hewitt. Sibelius: Various works; Mozart: Piano Concerto K503; Beethoven: Symphony No 4, Op 60...a wonderful and very generous programme. Built at the beginning of the Middle Ages, the chateau retains the charm and dignity of its origins whilst at the same time presenting recently renovated bedroom suites to the highest modern standards. Its majestic living rooms and staircases, its spacious salon with grand piano and French windows looking out over its magnificent park and golf links, promise several nights of charm for our group. In the entire chateau and hotel complex there are several different dining opportunities. This beautiful restful region of Central France along the gentle River Indre was very attractive to Parisian artists and writers such as Eugene Delacroix, Honore de Balzac, Gustave Flaubert, Turgenev and the composer, Franz Liszt, who would come down for weekends and longer sojourns where animated intellectual discussions enlivened their restful breaks. It is of even more importance to us as being the location of the home of the famous nineteenth century woman writer George Sand and her lover, Frédéric Chopin. The MAISON GEORGE SAND at pretty NOHANT nearby will be an undeniable attraction. We will enjoy a guided visit and a literary presentation. Today after morning coffee and exploring the extensive grounds of the chateau, we will enjoy a delightful day visiting villages such as GARGILESSE where we will find the lovely Villa Algira, another property of George Sand. The Impressionist painters were enchanted by this romantic village. Lunch in a pretty restaurant will be included today and we return to our chateau for rest and a simple snack before driving the short distance to CHASSIGNOLES for a chamber music concert with a slight difference. An unusual but very successful combination. Cyril Huve, who had studied at the Paris Conservatory before working with the legendary Chilean, Claudio Arrau, is one of the most famous pianists in France. Nina Skopek and Alienor Mancip are both highly acclaimed artists and enjoy working in the Berry region when not travelling internationally. Programme TBA. After breakfast a little drive to Saint-Benoit-du-Sault, a Roman medieval village set on a turn of the river and recognised as being “une plus beau village“ in the French listings. Lunch at nearby La Chatre and some time to wander in this very pretty town before a short drive to Nohant for a guided tour of the charming Chateau dê George Sand followed by afternoon tea in its historic gardens, preserved by the French Ministry of Culture. We will take a leisurely drive home via a different picturesque route. The logistics of the above three days may alter, depending on times notified. However, the content will remain the same. CHATEAU DE GEORGE SAND (NOHANT): This historic house actually predates the 15th century when it underwent major reconstruction in 1450, and again to its present form in 1767. Aurore Dupin, aged four, came here to live with her grandmother after the accidental death of her father, an officer in the French army. The grandmother, Madame Dupin de Francuel, illegitimate daughter of war hero, Maurice de Saxe, and granddaughter of the King of Poland, laid out the gardens and built the main stairway here. After being away at school, upon the death of her grandmother, Aurore returned to inherit the house she loved. She married and had two children (Maurice and Solange) but later left her husband and moved to Paris with a lover and here became famous after writing her first novels under the pseudonym of George Sand. Her fame grew and she used to spend long summers each year writing at Nohant and entertaining the most prestigious personalities in the world of the arts. Later, her most famous lover, Frédéric Chopin, lived and worked with her here for almost ten years, during which time he wrote many of his most famous compositions. The house is preserved exactly as it was... now a classified National Monument of France. One is able to imagine the lives of these two, the strange hours of work and play (different for each) and the stimulating dinner party conversations, music and amusements (Chopin was a brilliant raconteur and mimic) as well as the attractions of Nature all around them. The story of Frédéric Chopin and George Sand is a long and fascinating one about which you will discover much more on this tour. Afterwards enjoy champagne and canapes while in the company of Cyril Huve. ﻿After an early breakfast we say goodbye to our lovely region of Berry and set off early to BORDEAUX. Did you know that the city itself is classified as a UNESCO World Heritage Site? We will be welcomed by an old friend who lives in Bordeaux, and after lunch and settling into our centrally situated hotel (yes...now a modern city one!) where your luggage will be stored, she will accompany us on a three hour guided tour so as to see as many of the protected buildings as possible, especially in Vieux Bordeaux, which has retained so much charm and character over time. A “must” also will be a visit to the spectacular Grand Théàtre, whose architect was Garnier of Paris Opera fame. As night falls, we will walk across the lovely Pont de Pierre, from where the view of the lights on the river and the city is spectacular. CONCERT IN BORDEAUX TBA. Dinner before or after in a special location on the River Garonne. A morning visit to one of the great Bordeaux wineries and then to La Gare St Jean to take our 15.30hrs TGV express to TOULOUSE and settle in for three nights at the famous Hotel de L’Opera. There will be time for a walk in the vicinity followed by Dinner in the hotel restaurant. After such a busy few days, you will need some time off! So today will be a totally free day for independent exploration, but armed with much printed information. You may opt for one of the many guided tours, a short cruise on the Canal du Midi, or bicycle along the lovely banks of the Canal, and/or many other options. TOULOUSE: Capital of the Haute-Garonne, it is the fourth largest city in France. Enjoys several actual UNESCO listings! As well as being a very cultural university city with so much going on in the world of art and music, it is also the headquarters of the French aeronautical industry. The delightful Old Town is often referred to as the Rose City, with its rose coloured bricks...” pink at dawn, red at noon and mauve at dusk“. LES JACOBINS: This church was begun in 1229 and completed over the next two centuries. The Jacobin Convent became the founding building of the university, always a location for artistic enterprises and over the past years the setting for a great annual September Piano Festival featuring renowned international artists. After a morning guided tour of the great Opera House, an excursion this day to fabled CARCASSONNE, stopping for an al fresco lunch en route at the medieval village of Mirepoix. Parking in so called ‘New Carcassonne’ the energetic may do the 20 minute walk up to the ramparts of this over-the-top restored tiny vaulted town (yes, there is also a small bus), which despite criticisms of “too perfect” renovation, is claimed to be the second most visited place in France! It truly is quite a marvel in all its ancient features. Later, time to wander among the small pleasant streets of the lower less ancient city and find dinner in one of many inviting cafes /restaurants there before returning to our Toulouse hotel. If there is a festival concert scheduled this evening we will return much earlier to Toulouse. Sorry.... BUT! This morning we will be up early in order to catch our marvellous TGV train trip departing Toulouse at 7.06am! Breakfast on the train. This will be a lovely journey and will have us in AIX-EN-PROVENCE by 10.52am ... in plenty of time for our guided tour of this amazing small city, while our cases are being safely delivered to our first class hotel ... the Grand Hotel Roi René. Lunch will be served at 13.30hrs in an historic restaurant along the Cours Mirabeau ... one we have enjoyed many times. 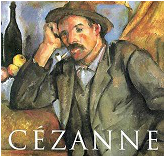 An afternoon visit to the atelier of PAUL CEZANNE (the painter most associated with this delightful city) and more. The annual Festival Lyrique of Aix-en-Provence takes place much earlier in the year but there is always music here and during our three day stay we will definitely enjoy one. When we return to our hotel you will find your luggage already in your rooms. Today you will enjoy a full day excursion into PROVENCE visiting Avignon and many famous villages and vistas which exude the very essence of what Provence is all about ... culturally and visually. 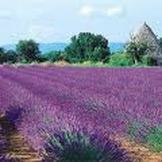 Fields of lavender, for example, will remain in your memory forever. Some of the inclusions will take you to St. Remy (where Vincent Van Gogh produced 150 works), Les Baux, Orange and its Roman Theatre, Fontaine-de-Vaucluse and if time, a guided visit within AVIGNON’s Palais des Papes. Stops for coffees and light lunch will be made in places of charm and a group dinner will end this memorable day, the location of which will depend on our chosen route. Option this morning to join another public excursion to a different area of Provence OR just to relax around our chosen small city, where the streets, squares, monuments, and many other attractions beckon. Ensure it is a lovely and restful day because tomorrow will be busy! The last day of our wonderful tour and we intend to make it very special. 8.30hrs: We will set off towards the coast... Cannes and environs... and the day will be planned to include lunch in the beautifully sited elevated walled village of ST PAUL De VENCE. If opening hours permit, a visit to the Fondation Maeght followed by a visit to Matisse’s Chapel du Rosaire at Vence itself, a slow drive along the Côte d’Azur via Juan les Pins, Antibes, and finally arriving at the splendid HOTEL WESTMINSTER on the Promenade Des Anglais, NICE. Enjoy a cocktail on the terrace looking across at the blue waters of the Mediterranean before our FAREWELL DINNER. This extraordinary tour through so many contrasting provinces of France ends after breakfast. It is very easy to access the Aeroport Côte d’Azur (second largest in the country) only 15 mins away, in order to return to Paris or to continue your journey to other locations. Should you wish to spend a few more days in NICE and its famous Mediterranean environs, of course we can arrange this for you. But it needs to be requested at the time of booking on this tour. This is a very busy month on the Côte d’Azur and reservations need to be made months ahead. SO ENDS ANOTHER MARVELLOUS LINGUA MUSICA TOUR! FULL DAILY SCHEDULE AND ALL RELATED INFORMATION WILL BE CONTAINED IN OUR 2015 TOUR HANDBOOK WHICH ALL PARTICIPANTS RECEIVE BY THREE WEEKS BEFORE THEIR DEPARTURE FROM AUSTRALIA. Join Lingua Musica at Angela Hewitt's Trasimeno Festival 2015. An opportunity exists for a small group of six. Dates: 2nd - 12th July 2015. Staying in first class Hotel Brufani, Perugia. The package will included six festival concerts, excursions to Siena, Spoleto and other neighbouring mediaeval towns. Ending with two days in Rome. Details available December 2014. 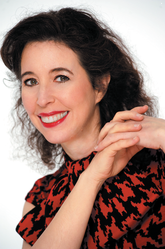 Angela Hewitt has performed around the world in recital and as soloist with orchestra. She is most well known for her cycle of Bach recordings which she began in 1994 and finished in 2005 — covering all the major keyboard works of J.S. Bach.